Every year my kids hand me their Christmas wish list, and every year it seems to get bigger and bigger. Gratitude it seems has bypassed my kids, and now it's all about "me-me-me." Do you have the same problem in your home and would love a way to give back this holidays? 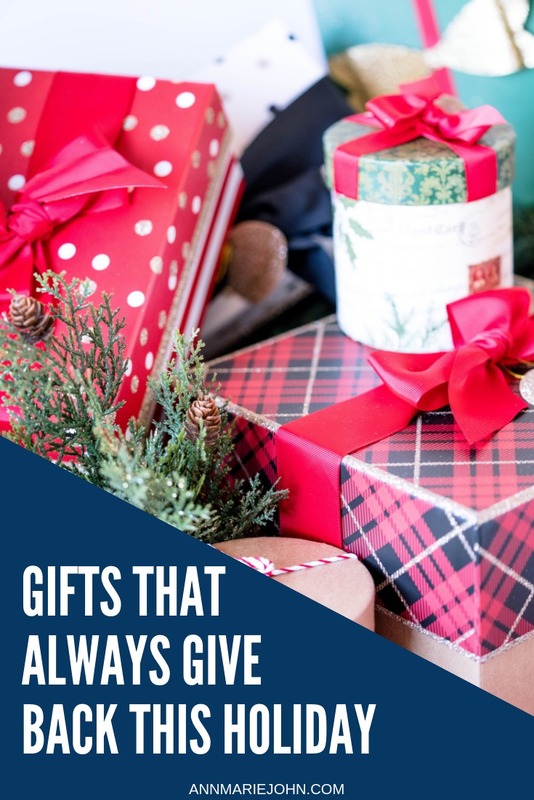 I'm sharing some gifts that give back that you won't mind gifting. OK, I admit that my kids are spoilt, and only because I wanted to give them all the things that I never received while growing up. My parents weren't poor, but my mother believed in giving us gifts that we truly needed and not wanted. There was no Santa, and if we didn't like what we got "tough sh*t."
So guess what? This year, Christmas lists have been canceled in my house. The kids will NOT be getting what's on their list but instead will be getting a gift that will also benefit others. It's about time they stopped thinking of themselves and instead think of others. So what are some of these gifts? Not only are these dolls adorable, but they also support a very charitable cause as well. Did you know that for each handmade gift that you buy from Cuddle + Kind that 10 kids will be fed? My kids have never known hunger, and imagining kids going hungry makes me sick to my stomach. I'm already a big supporter of the brand and Madison has quite a few of their dolls, but it doesn't hurt to get more if means that a child would get a meal now does it? The Make-A-Wish® Foundation has a special place in my heart as I have a friend whose child has benefitted from the organization. Her son's big wish was to visit Disneyland, and they made his dream come true. While I'm not able to fulfill any dream this big, just helping out in any way I can is something I can do. 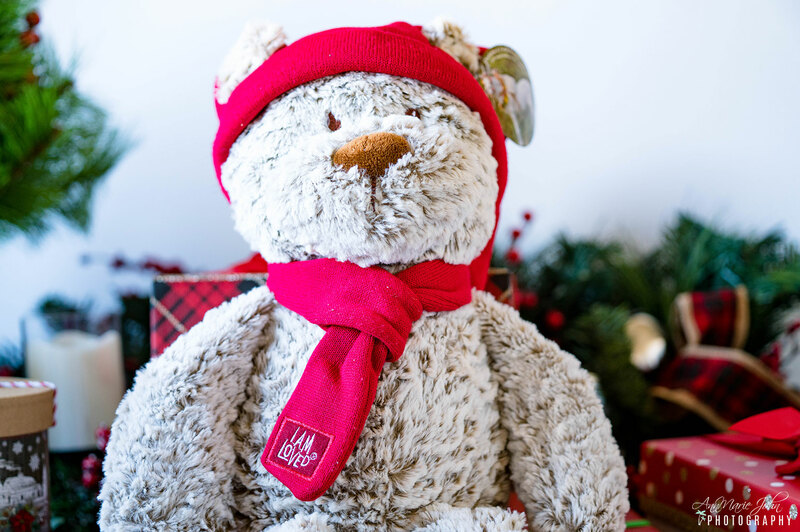 This Helzberg Diamond Limited Edition I Am Loved Bear, will not only be a great friend to someone, but $5 from each sale is donated to Make-A-Wish®. They're going to need to keep their heads warm this winter right? So what's better than a hat that not only does that, but also gives back to pediatric cancer. From the sale of every Love Your Melon product, fifty percent (50%) of the net profit is given to the Love Your Melon Fund to support nonprofit partners (which includes, Alex's Lemonade Stand, St. Jude's Children's Research Hospital, Make a Wish and many more) in the fight against pediatric cancer, create therapeutic experiences and fund charitable programming initiatives for children and families battling cancer. Every night Madison asks for a bedtime story, and almost every night I oblige. 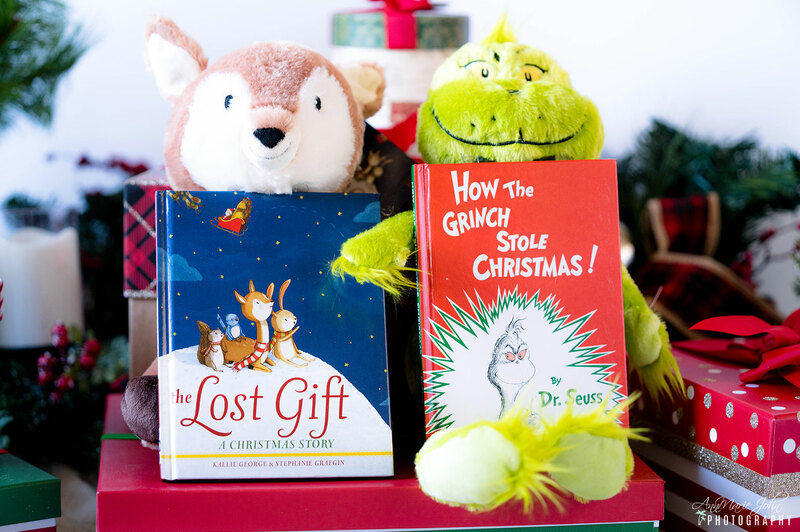 What better way to build her library than with books reasonably priced, complete with a stuffed toy to cuddle with at night, purchased through the Kohl's Cares initiative. 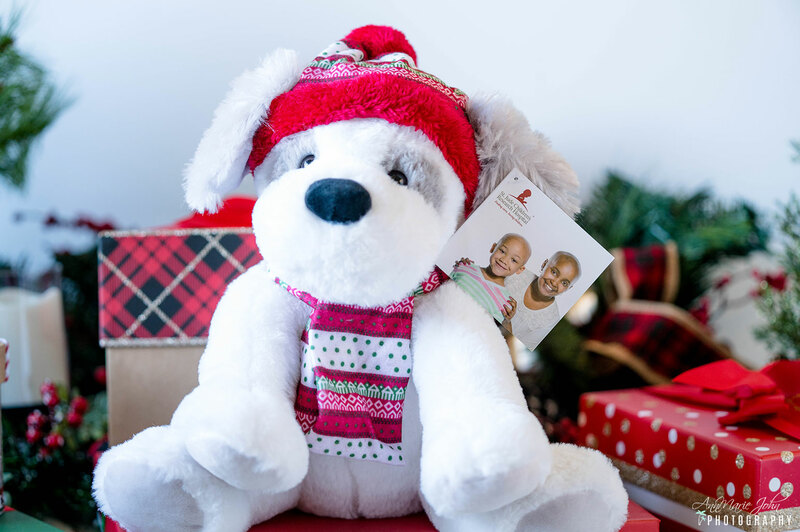 With every purchase of a Kohl's Care product, 100% of the net profit from the sale goes towards charitable organizations nationwide. Since the inception of Kohl's Cares in 2000, nearly $340 million has already been raised. This Christmas, let's raise even more! Pediatric cancer is something I wish would just go away. While in the U.S. Military, we were encouraged to donate to a charity, and one of my charities was St. Jude Children's Research Hospital. As a mother, I could only imagine the pain that other parents went through when their children are diagnosed, and thought to myself "what if that was my child?". Since then I make a yearly contribution, and while you can purchase from the gift shop, some of your favorite companies may also be a partner. Companies such as Zales, Kay Jewelers, Home Goods, Williams Sonoma and many more, offer products that support St. Jude. Before you know it, Spring will be here, and the kids will be jumping in puddles; however, their sneakers aren't the best things to do that in. Neither will be their Gucci or Balenciaga's. How about a pair of boots that are not only functional but will once again be supporting those in need. The Roma "Give Poverty the Boot" program does precisely that. We've spoken about Roma right here on the blog in the past. For every pair of boots sold, one is donated to a child who needs it. We all want our kids to be moral and upright human beings, and one of the ways to do so is to be kind. We should be teaching our kids about kindness, and if you need an incentive (which you really shouldn't), Kind Culture creates dolls that not only inspires kindness but gives back as well. 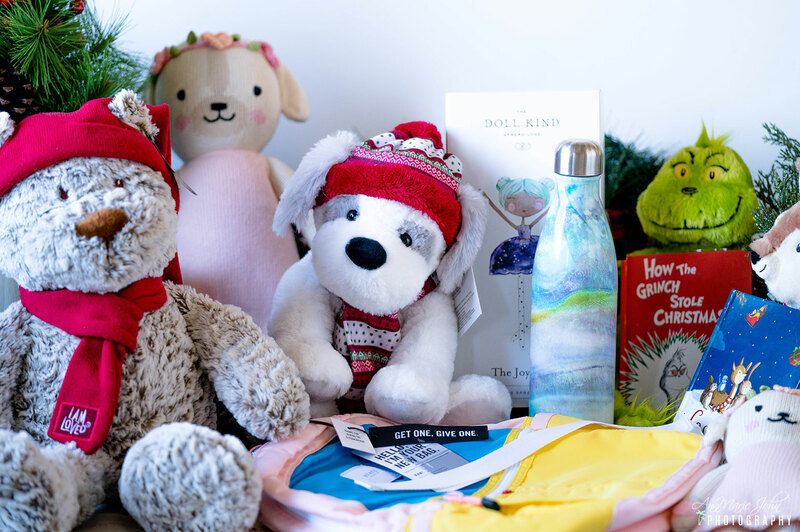 With every purchase of the Doll Kind, one doll is given to those less fortunate, and with the sale of every Good Deed Fairy, a portion of the proceeds is given to anti-bullying organizations. Education is a big deal in my household, and it all began with my parents. My mom and dad did not have a college education, but they, however, ensured that each of their children had one. While I have a degree, (although I don't utilize it), having an education is something that each and every child should have. This one means a lot more to me because it's for a company that started in my very own hometown of Brooklyn, New York. For each backpack that you purchase, a backpack filled with the essentials is given to a child who truly needs it. I am all about protecting our environment so very rarely purchase bottled water unless I have no choice whatsoever. Plastic is not only harmful to our environment, but water just tastes better in glass or stainless steel anyway. 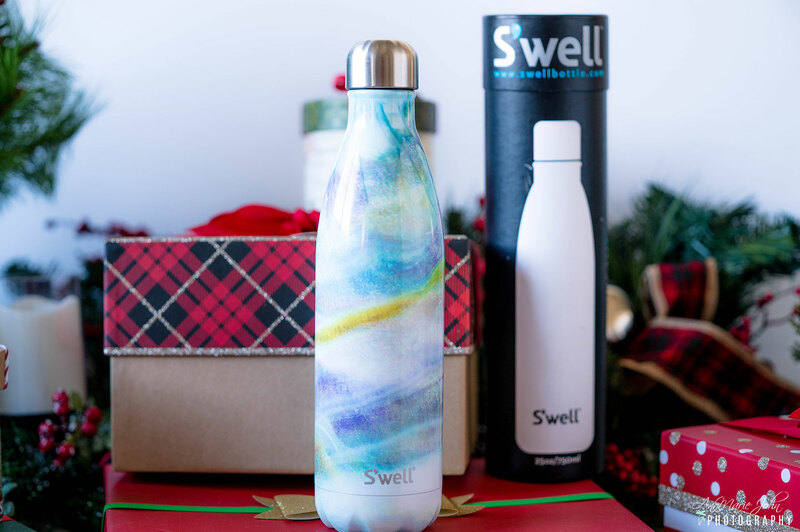 For the kid who hates drinking water, this S'well® bottle is for them. Not only does it keep your cold water cold for up to 24hrs, but your hot for 12. And S'well® gives back by helping to provide clean and safe drinking water to those who lack access to it, by partnering with UNICEF USA. While there are many more companies that give back during the holidays, the great thing about these companies that I shared, is that they give back ALL THE TIME! So they're perfect for not just the holidays, but birthdays or any special occasion that you can think of. Even just because. So guess what is going to happen this year in my household? My kids will now be thinking of others as they open their gifts, or they can keep on being selfish and continue thinking of themselves, but I'm helping others no matter what!